Well, I don’t know how it happened, but Time has managed to completely slip through my grasp once again. He is a slippery little fellow, always running away from me, teasing and taunting like that silly little gingerbread man…Run, run as fast as you can! You can’t catch me…hehehe! And I don’t know about you, but here it is, a matter of days until the festive Christmas gifting begins and I am totally unprepared. Nothing brings me joy like sharing my love through handmade trinkets and heartfelt gifts. I am not, however, one for planning ahead. I find myself with a growing list of loved ones and loyal friends who are deserving some kind of acknowledgment of their special place in my life. So, I throw my thinker into high gear, get those creative cogs turning and rummage up some thoughtful last minute gifts and meaningful ways to spread the love. First of all, when creating those last minute gifts, I say work with what ya got. I always have a secret stash of bits and pieces, special things I tuck away thinking they might make a a lovely gift one day. 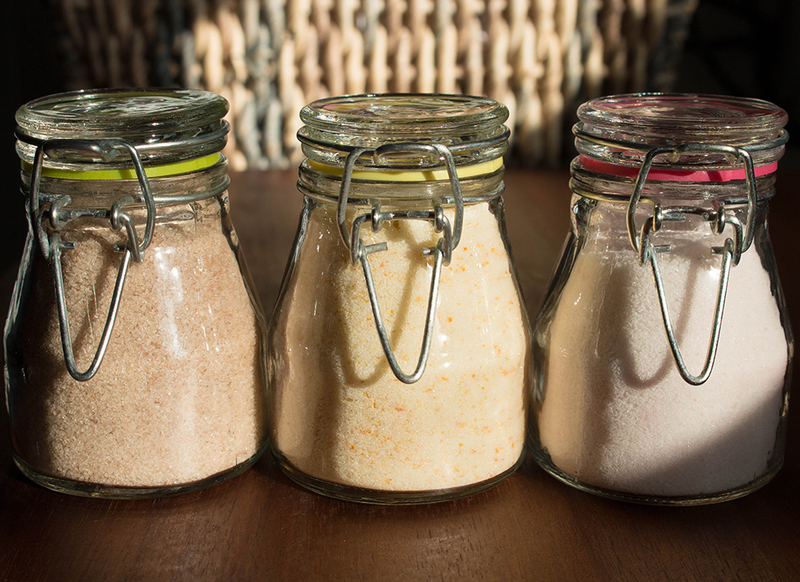 Nifty little jars, homemade spices, organic herbs carefully dried and stashed away. Handmade hats, cards and jewelry lovingly made and saved for another day. Pretty baskets, pampering supplies and various souvenirs…these seemingly random little items can easily be put together to create a last minute, yet unique and thoughtful gift for that someone special on your list. Take this popcorn, for example. 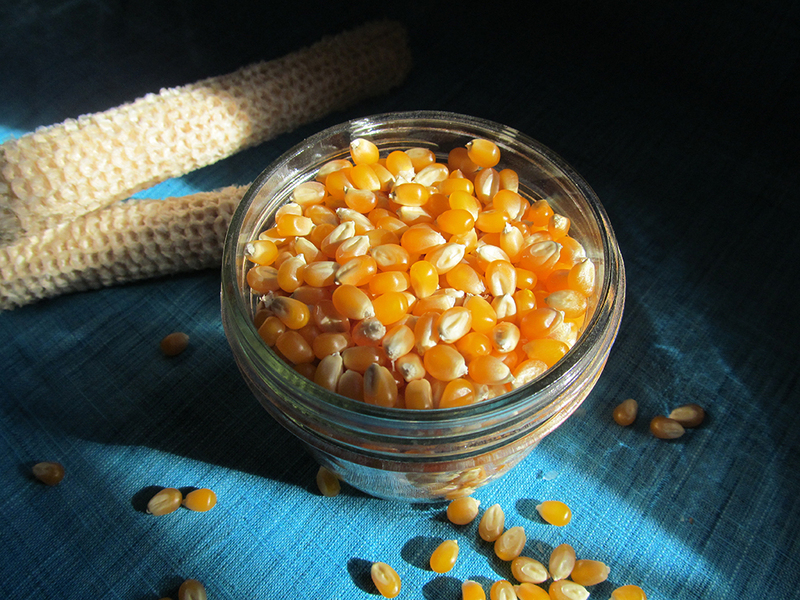 Every autumn in our CSA box, we get a few cobs of organic corn especially for popping. Now, I personally have a thing about corn and GMO’s, so I consider these little cobs of homegrown organic corn to be a little something special. Fortunately, this year I had the foresight to save these little kernels of joy for my last minute holiday gifting. 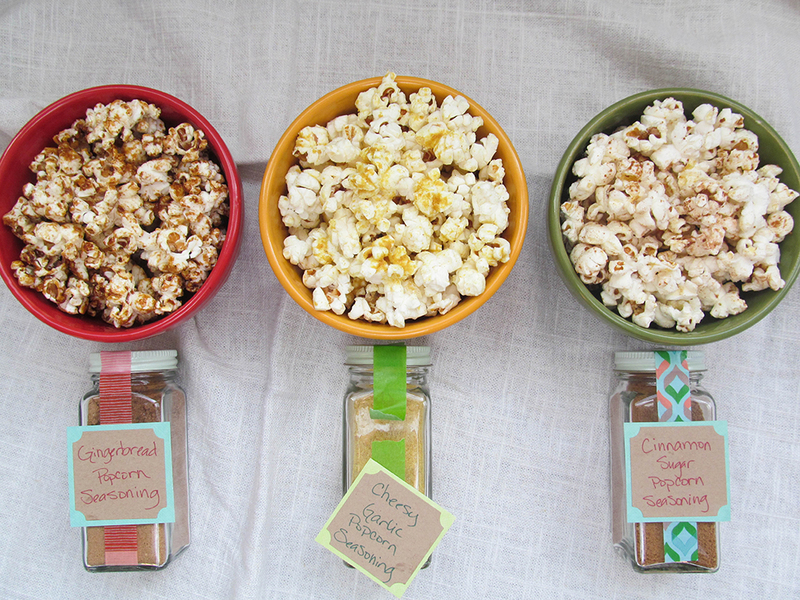 Fill a jar with these beauties and pair it with some homemade popcorn seasoning and you have the makings for a deliciously unique gift for the food lover on your list. And no need to fret if you don’t happen to have a few homegrown cobs of organic popping corn on hand (because realistically, who would?). 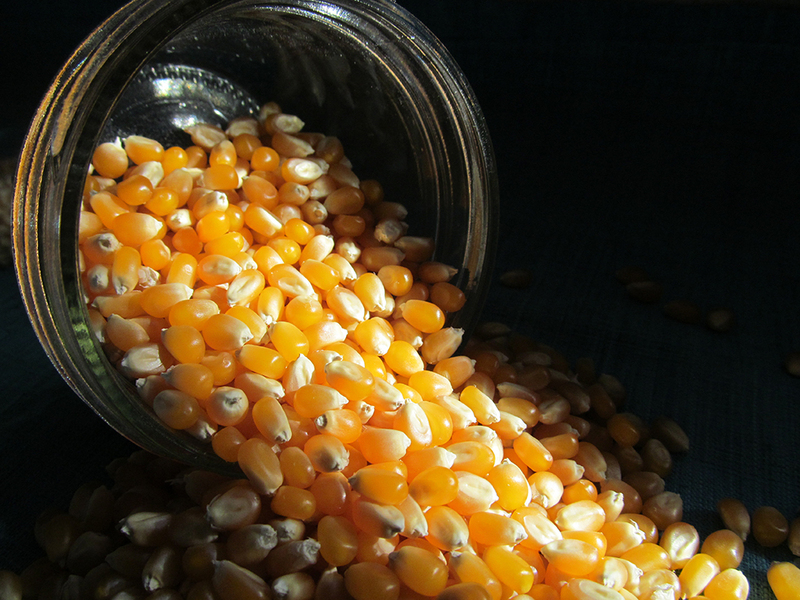 You can most likely find a big bag of organic popcorn in the aisles of your local grocery store. With $4.99, a few rummaged jars and some spices from your kitchen cupboard (throw in some movie tickets or a new DVD if you can) you have the makings of a perfect gift for those movie lovers and/or stargazers on your list. Secondly, don’t be afraid to embrace the spirit of recycling in your last-minute gifting endeavors. 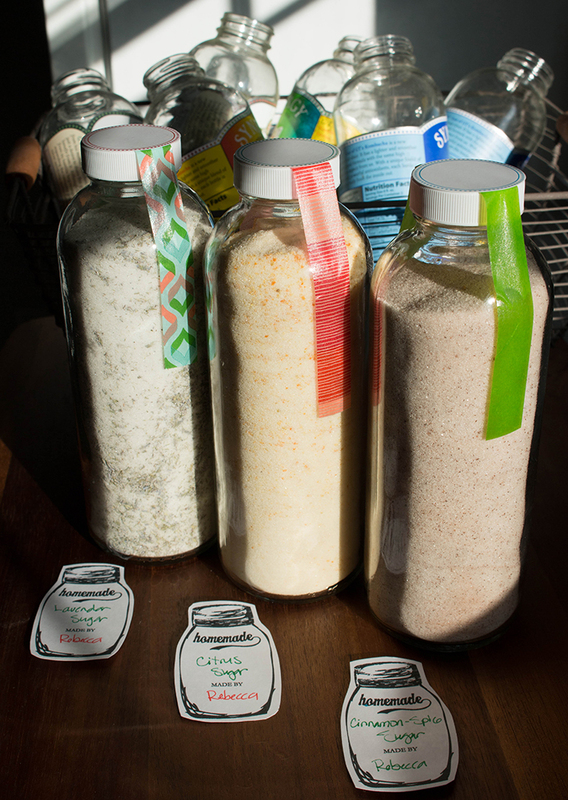 Repurposing perfectly reusable household items can be a very pleasing and satisfying way to present your homemade holidays gifts, especially for the environmentally-conscious people on your list. I can’t bear to toss those fabulous glass jars and bottles from my favorite store-bought spices and beverages. I have amassed quite a collection, I must say. When I had to come up with a large quantity of small, inexpensive yet thoughtful gifts for my numerous co-worker friends, I immediately thought of that extensive collection of beverage bottles. After all, they were quite a hit on the first day of school, repurposed and filled with fruit-infused water. I received many comments on the awesomeness of the bottle itself, so I knew they would be well-received. The trick was thinking of something with which to fill them. A quick Pinterest perusal generated this flavored sugar idea. 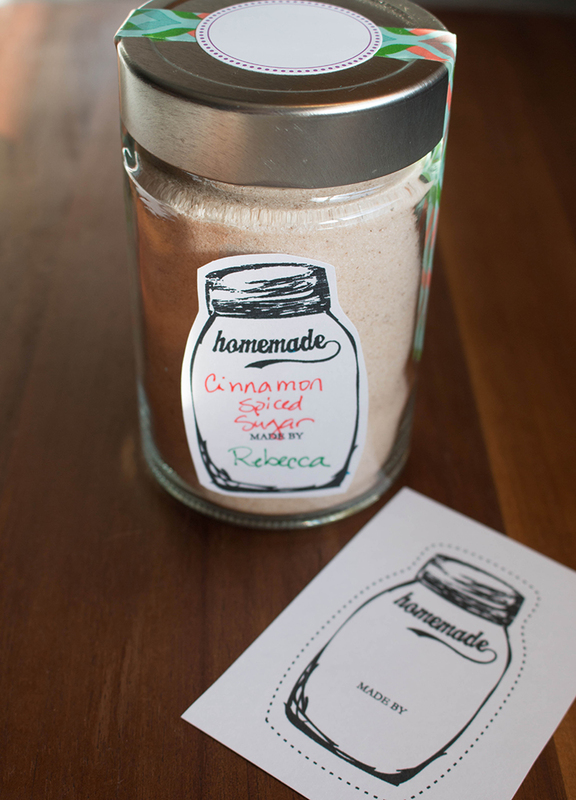 Simple sugar infused with flavor that can be used to sweeten coffee, homemade lemonade, holiday cocktails, cookies or scones. I made several different flavor-infused sugars using pomegranate powder from my superfood stash, cinnamon and spices from the kitchen cupboard, citrus fruits from my fruit basket and dried organic lavender I saved from my summer CSA box. I recently discovered that after a good hot water soak, a simple paste made with baking soda and olive oil is a very effective way to remove those stubborn sticky labels from glass bottles and jars. With a little elbow grease, a simple homemade edible blend, some lovely labels quickly printed from the internet (thank you, Pinterest!) and some colorful washi tape you can create a beautiful handmade and heartfelt gift in a matter of minutes. Another thing to consider in your eleventh hour gift-giving scramble, is the ever-flexible gift basket. This is not only a great way to bring together that assortment of seemingly random items, but with a simple gift basket you can support those small businesses in your local area. 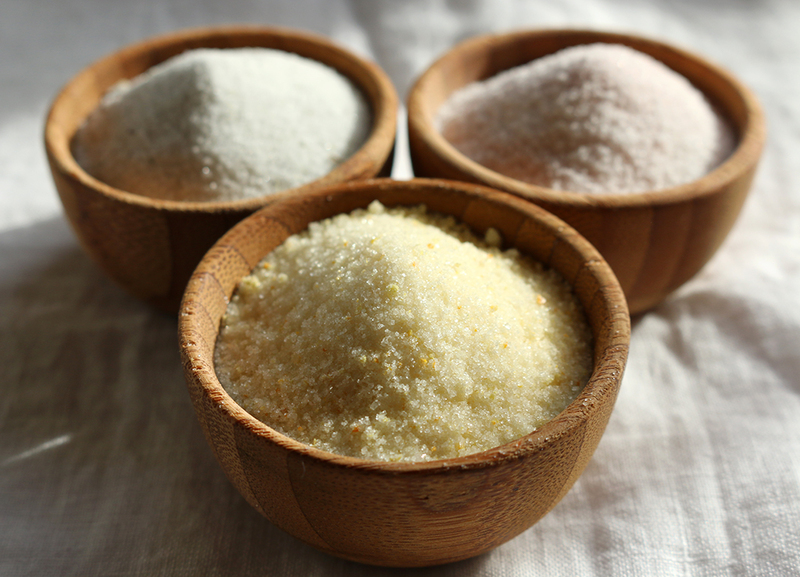 For example, the foodie on your list would absolutely adore a basket brimming with superfood products from that small-guy health food store in town. 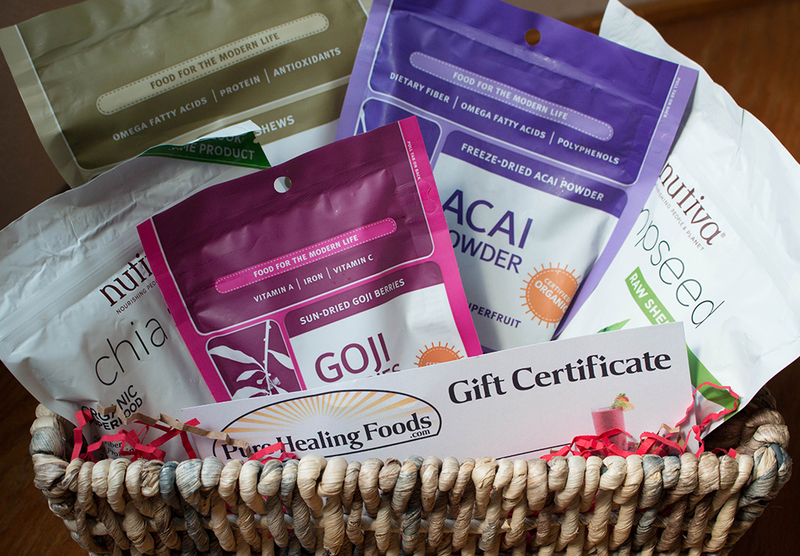 Not only are you providing said foodie with some of his or her favorite healthy staples, but you are also supporting the small business owners who work hard to provide the community with quality health food products. For the book lover on your list, head to your local bookstore, but avoid the big-chain-guy with the coffee shop and the crowded aisles. Instead try the little one around the corner. The cozy one that smells good with the used books and the friendly resident cat named Oliver. They sell new and used books, assorted sundries and notions and gift certificates, as well. You still have time, as they are probably open until 7 tonight and it is right along your route home from work. Consider, too, the artisans and crafters, the providers of services promoting health, well-being and other useful and beautiful things. 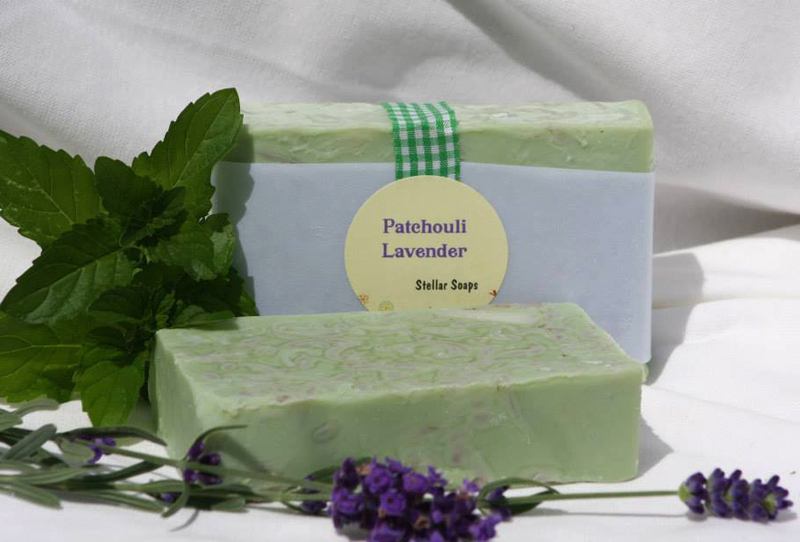 Some of the most-loved people on my list just might be receiving some of those all natural and divinely scented, hand-crafted soaps that I absolutely adore. 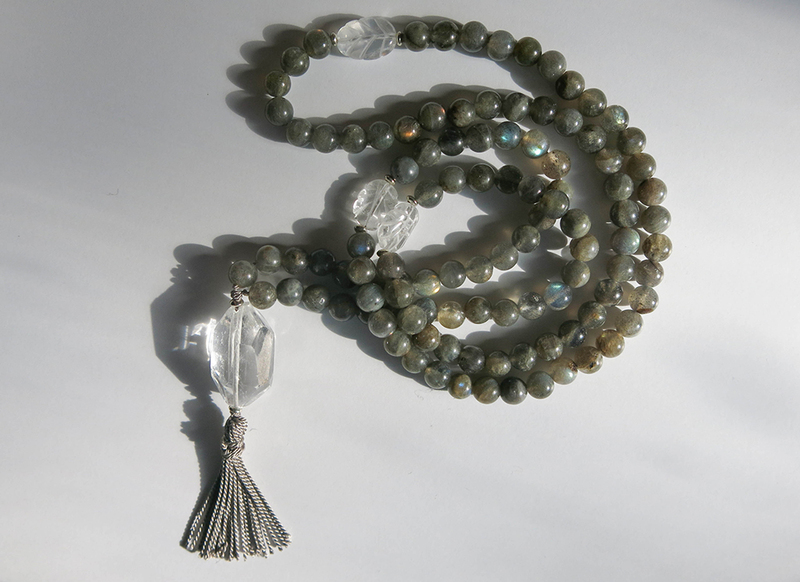 For my fellow yogis, some of my own handmade mala beads, private yoga instruction, a yoga class pass or accessories from the local yoga studio. And for the nature lovers and stargazers, a print from a local area photographer accompanied by a gift certificate for custom framing from that small art and frame shop I love. 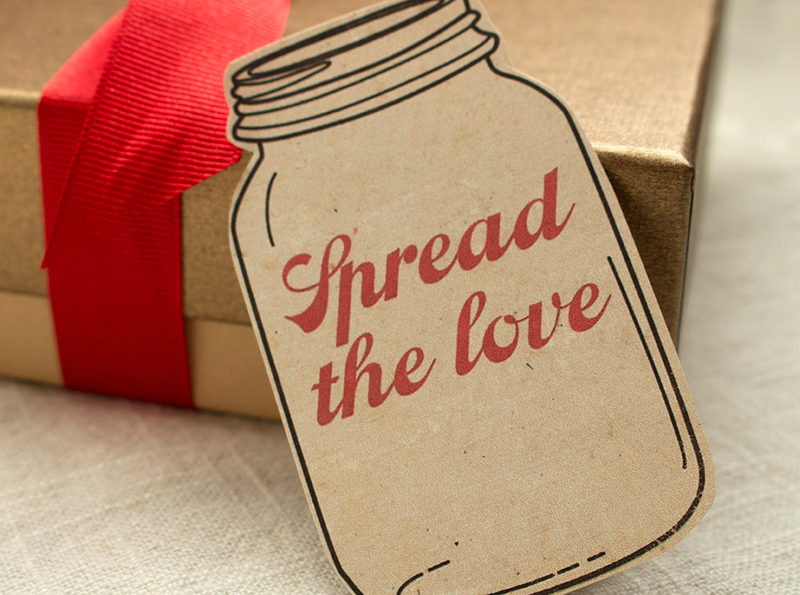 And finally, don’t discount the gift-giving value of a simple expression of the heart. Say, for example, someone’s grateful heart lovingly rendered in art. 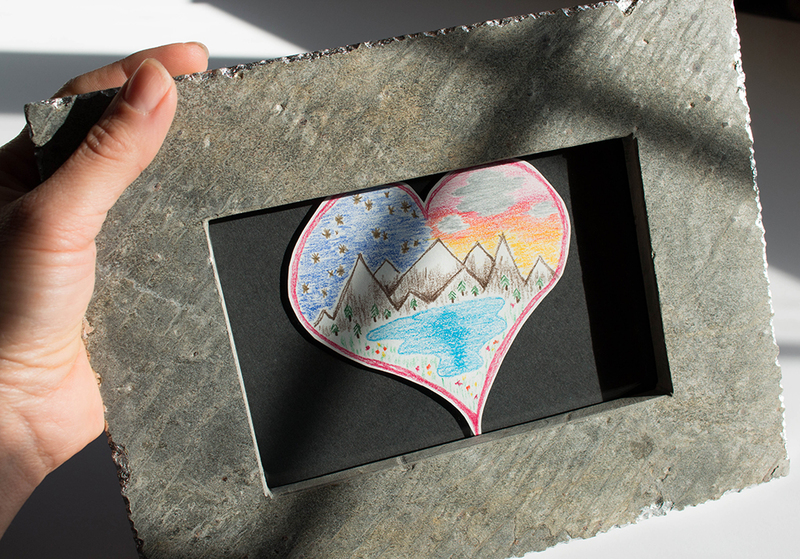 Sometimes a little drawing or a few written words placed in a simple store-bought frame can be the simplest and most meaningful gifts of all. As you fret and scramble to rustle up some last minute gifts for the loved ones on your list, just remember this. You don’t have to spend your precious time fighting holiday crowds at the mall. No need to spend a small fortune on overnight shipping. Your gifts do not have to be handmade or home baked to be meaningful and from the heart. It only takes a few minutes, some rummaged goods, an extra stop on your way home from work to produce that perfect gift. There are many small business owners, crafters and artisans who dedicate their time, energy and loving hands in creating meaningful products and services that bring pleasure and delight to others. 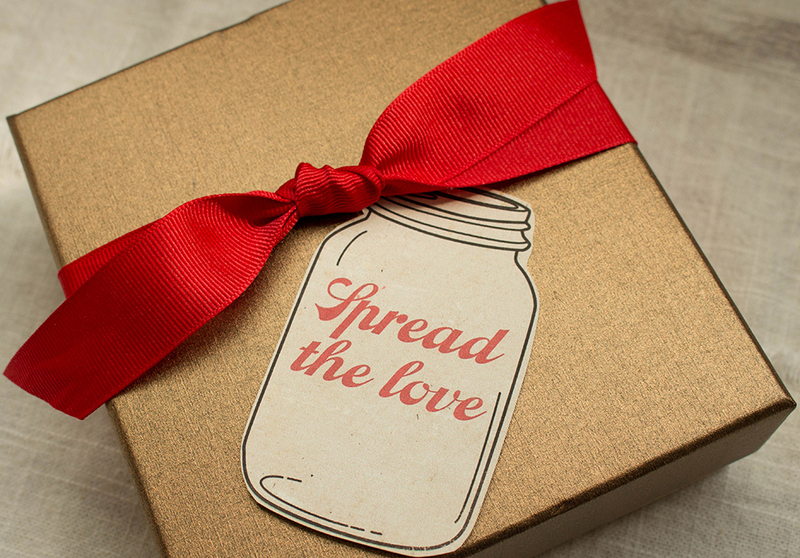 Purchasing goods and services from those small businesses is a thoughtful gift in and of itself and in passing it along to someone in your community, you are personally gifted the satisfaction of spreading that love, contributing in some small way to a greater good. And isn’t that a joyful experience?